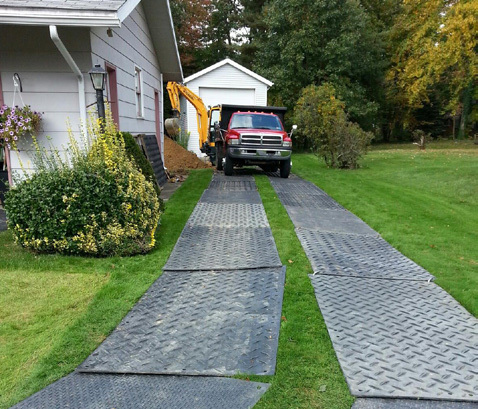 Ground protection mats are a critical safety solution in the oil & gas, transmission, and landscaping industries. 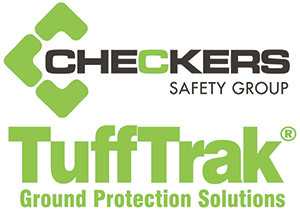 TuffTrak® mats are manufactured from high density polyethylene compounds, giving them longer lifespans than wood alternatives. 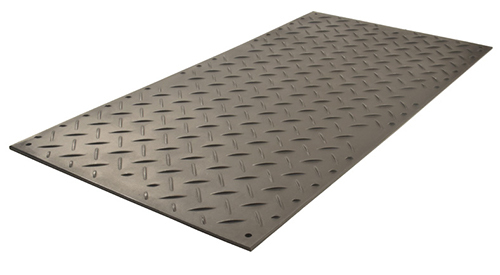 The AlturnaMat®, TrakMat® and LibertyMat®/EuroMat®, make up the medium duty matting line. These mats are ½ in. thick, feature UV protection to prevent material degredation, and their polyethylene construction guarantees that, unlike wood, these mats are tough, flexible, will bend but not break, and will not rot or become water logged. These mats are strong, but lightweight enough to be easily handled and deployed by a two-man team. This makes the construction of a temporary roadway or working platform possible in a matter of minutes. 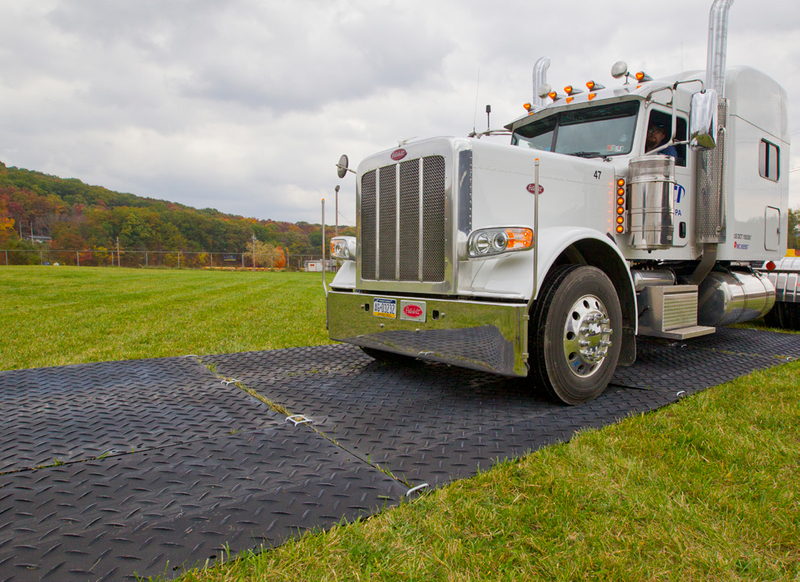 Don’t let swampy or rugged terrain derail projects; TuffTrak® mats keep both vehicles and people moving with traction patterns designed to maximize grip and safety. These rugged mats are virtually indestructible. They have been tested in record cold and heat,are environmentally friendly due to their recycled plastic construction, and with AlturnaMats®, getting stuck is virtually eliminated. 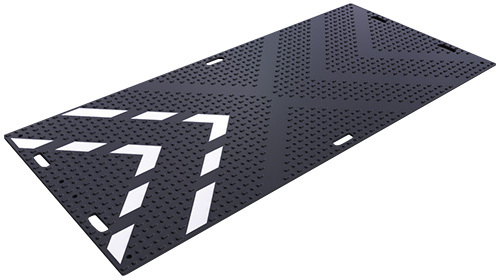 Several different surface options are available, ranging from an aggresive tread to a more pedestrian friendly tread. 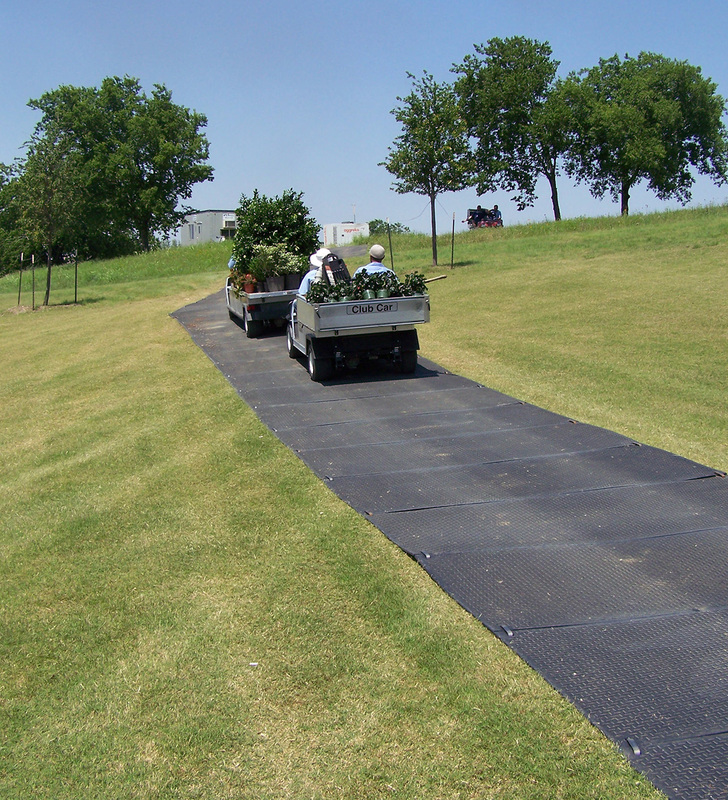 Trakmats® are some of the most versatile ground cover mats in the industry. 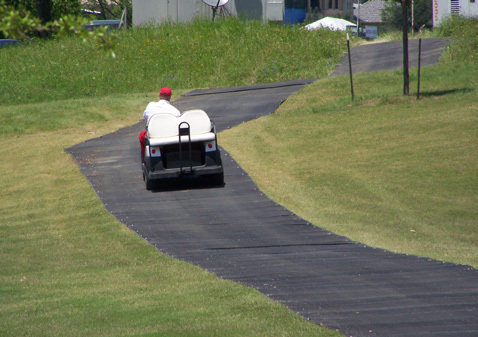 They are designed to allow large vehicles to easily traverse lawns, sidewalks, driveways and more without causing damage. They also prevent vehicles from getting stuck in muddy, wet, and unstable ground conditions. 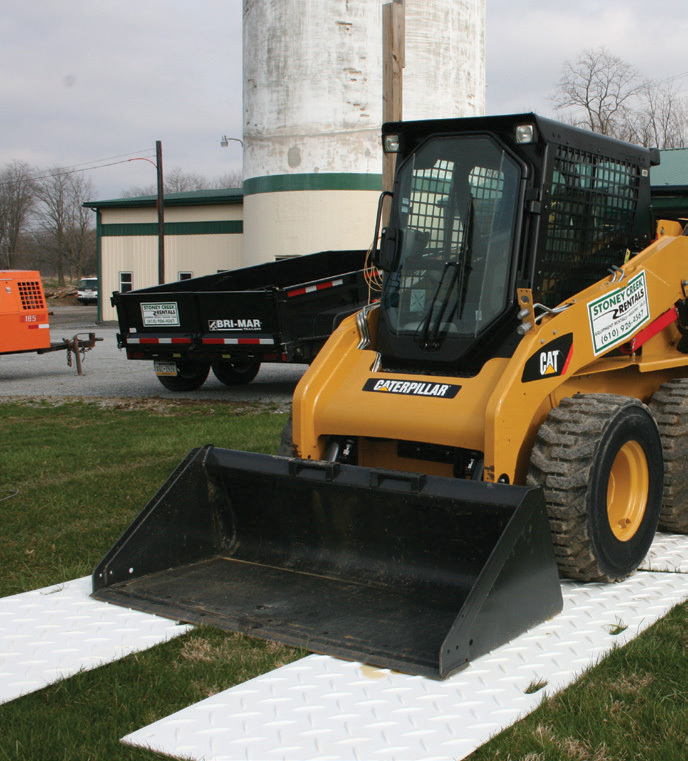 LibertyMats™ are great medium duty solutions for creating temporary roadways and work areas for the construction, civil engineering and ground work industries. Weighing just 77 lbs., LibertyMats™ are ideal for both short and long term projects.